Clients of Shallin Blue: Birth Photography can be certain the priceless first moments of your child's life will be beautifully captured in a professional manner, respecting your intimate birth space. This is your birth experience, and these are moments you will remember for a lifetime as you bring new, sweet life into the world. With Shallin Blue: Birth Photography, you will be able to joyfully experience your child's first moments, as well as your own emotions and expressions, over and over again. 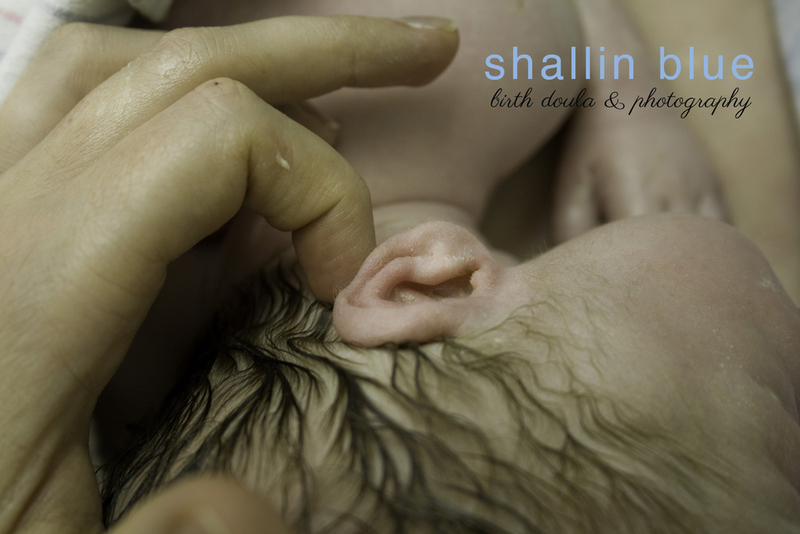 As a doula and photographer, Shallin honors this space during these unforgettable moments in your life. All clients of Shallin Blue: Birth Photography are offered a complimentary consultation to discuss your desires for capturing your birth. Birth photography session, digital files, print release, custom slide show, 5x7" proofs of each photograph from your birth and custom keepsake box for your prints and digital files. - $800. Birth photography session, digital files and print release - $600. Call as soon as possible to reserve your due date. Shallin Blue accepts a very limited number of births per month. Deposit of fifty percent required to book due date on Shallin Blue's schedule. Session fee due in full two weeks before due date. ***If you choose to have Shallin Blue as your Birth Doula AND Birth Photographer, you will receive an AMAZING package deal on these two services. Ask about this at your doula consultation. My family and I absolutely love the photos and video slideshow. It means so much to us. I have been struggling with feeling guilty for not remembering my daughters birth after my C-section. It left me feeling helpless. But this video reminded me I was there. I held her. I fed her in the recovery room. And to see my husband take on a father role while I was so sick blessed me even more.